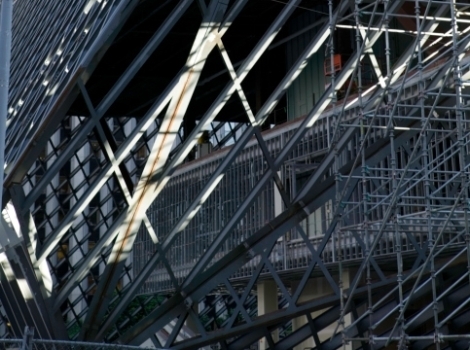 Construction companies who purchase metal frames for construction should consider the benefits of a variety of structures and make sure they know what they are buying form their suppliers. There are many types of metal bars available for metal frames in construction. HHS or hollow structural sections are one example of a hollow metal bar with a tubular cross section, as well as SHS, structural hollow sections. You will usually find that a HSS will come with a rectangular or circular section, although there are several other types available namely hex bars or elliptical. It is important to always use structural steel as this adheres with building codes. You may have heard HSS being called tube steel or structural tubing. There are circular HSS also available which are referred to as steel pipes or metal round tubes. This description is not entirely correct however, steel tubes and pipes are often classed differently from HSS sections. CHS and RHS are terms commonly use in the UK for circular and rectangular hollow sections. Again, the dimensions are different from the true HSS which can be found in America. Due to the characteristic of HSS such as the normal square and circular cross sections and the resistance to torque related torsion and twisting, it has popular use in welded steel frames. They are also used for columns and beams as HSS have a good resistance to buckling. For construction purposes HSS is considered easy to use specifically the rectangular metal box section. Upon finish, it is often left exposed in some modern buildings because of the interesting look and aesthetic appeal. There are a variety of different standards depending on country the US adheres to ASTM and A500 whislt Canada would also include G40.21. In Europe you will find EN 10210. Make sure you build a strong relationship with your metal supplier and enquire about the range of metal channels, box sections, tubes and bars. For metal products and more please visit www.clickmetal.co.uk today.